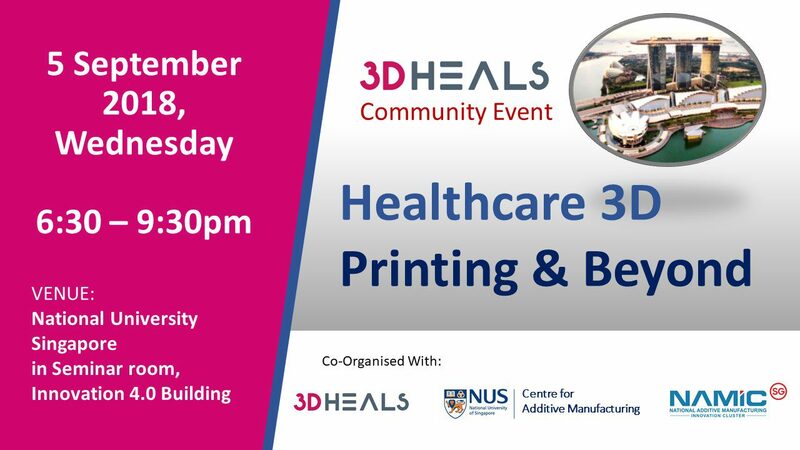 3DHEALS community event focus on creating educational content and networking events with highly selected speakers and audiences all over the world. This will be the first such event in Singapore. The event is limited to 50 attendees. It will be held on 5 September at National University Singapore in Seminar room, Innovation 4.0 Building, 3 Research Link Singapore 117602.